1kg pork (lean meat or “Kap Sam” in chinese means armpit area of a pig). FYI, Each person can consume only 100 gm of pork. 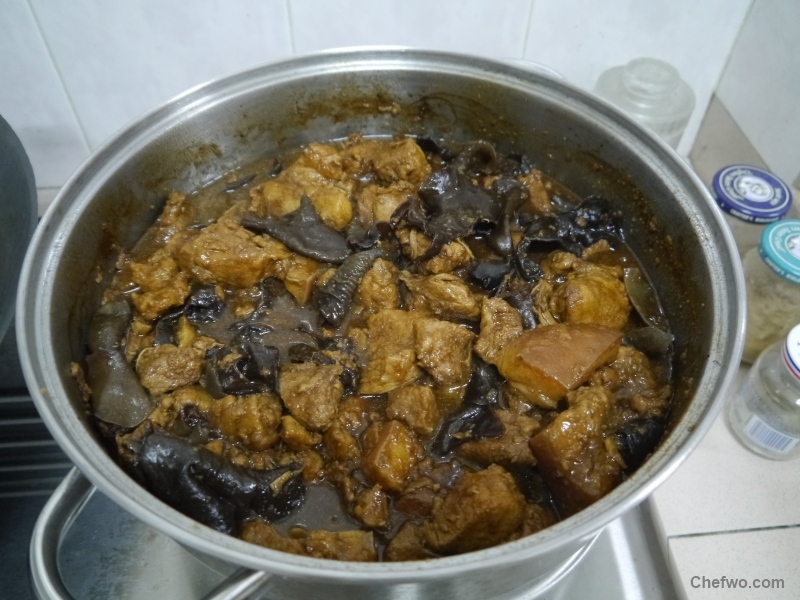 Then put all fried pork into a pot together with “Other Ingredients” and cover your lid simmer with mid heat and cook for 1 hour or more if you like your pork tender. Tips: If you can’t finish all your pork, keep in fridge, coz it taste much better on the 2nd day onwards.